Northern Virginia Retirement Communities, around Washington, DC, are in a fast-developing area and within commute distance to DC. Keep Updated with this 55+ guide. There are many 55+ communities located here: urban, country, large and small. Page 2 - Williamsburg and Richmond Areas in the southeast plus Montgomery and Roanoke counties in the southwest of the state. New Craftmark Homes at The Crest of Alexandria - 55+ Townhomes with elevators now selling by appointment from $600's. 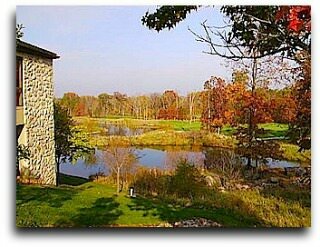 Clubhouse, fire pit, nature inspired grounds, koi pond, trails, and more. 3 professional interior designs to choose from. Low-rise condominiums in an elevator building with garages. | There is an older section with resales but there is a new opening of new floor plans. | From $312,995. | There will be 7 buildings with 22 condos in each. Final building has been released. New Regency at Creekside - Planned clubhouse, pools and recreation. | By Toll Brothers | Minutes from Gainesville. | Gated community of single-family homes. | Hiking and biking trails. From low $500's. Cedar Meadows - Gated community of single homes with garages - Community Center - all homes priced in high $200's. Charlottesville is home to the University of Virginia. Also easy commute to Richmond. Cottages at Spring Creek - Wilberger Properties at master community Spring Creek consisting of various neighborhoods most not for over 55 but lots of nice amenities for retirees; a golfcourse community. Lot sales. Convenient to Charlottesville and UVA and 40 minutes to Richmond. Clubhouse now open. Spring Creek golf course ranked in Top 100 in country by "Golf Week"
New Lexington 7 - 55+ by Pulte Homes - the focus is on the lifestyle of Loudoun County and the area amenities - Attached villa homes will be starting in the low $500's. Near Bles Park. 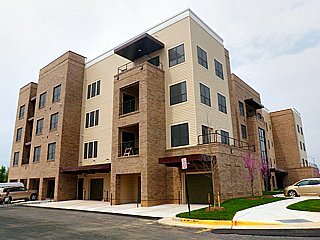 New The Signature - By Van Metre Homes - 2 and 3-bedroom urban-styled homes in elevator buildings - Near Dulles Airport - Amenities include pool, tennis, parking garage and more. Priced in upper $300's. 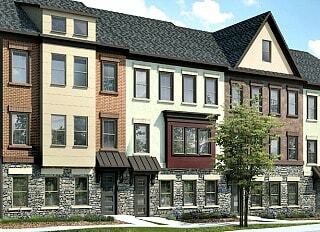 Regency at Ashburn by Toll Bros - 2 bedroom/2 bath townhomes and condominiums. Attached homes with garages. Gated with resort amenities. Greenbriar collection of single level condominiums from $300's. Tennis, pool, hiking and biking trails. Celebrate by Del Webb 11 McQuarie Dr., Fredericksburg - Price - $$-$$$ - single family homes in resort-style community ten minutes to Rappahonnock River for kayaking, hiking. Also, pool, tennis. Near Cannon Ridge Golf Club. Major shopping nearby as well as quaint boutiques of historic Old Town Fredericksburg. Now the attached villa collection from $180's. Also the Premier and Classic Collections available from mid-$200's. This community uses the latest green features to minimize energy use. NAHB green certification and Energy Star standards as well as attention to land use. Overnight visit tour available. Regency at Chancellorsville by Toll - Fredericksburg - Award-winning resort community of spacious 2 BR/2Ba single homes with garage start low $300,000's. Variety of floor plans. Amenities. Virginia Heritage at Lee's Parke by Lennar - Fredericksburg - Cottages are sold out but Manors and Plantations collections are available. Price from $300,000's - 3 day visit tour. By Cornerstone Homes | Medium to large homes from $270's | 124 single-level homes | Clubhouse, pool and more | Near commuter rail station. Spring Hill Villas by Pulte Lorton Sold out Condos are adjacent to the villas (both sold out). 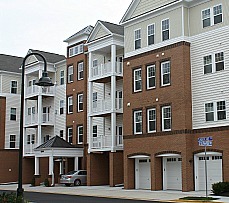 Urban-styled condos within commute to DC (19 miles). There is a VRE commuter train in Lorton. Also Amtrak. Near the Laurel Hill Golf Club and the new Arts Complex. Floor plans encompass fresh and new ideas. The Easton features a large great room, 2 bedrooms that are separated on either side of the unit, and a large kitchen with good counter top space. Condos were priced from low $200's to $400,000's. All are 2 BR/2Baths (some have dens) and sizes vary. Features include pool, paths, clubhouse, visiting tot lot, fitness and more. 8425 Peace Lily Court | Lorton, VA.
Saintsbury Plaza - Vienna in Fairfax County - Porten Homes - condominiums in popular area with amenities. See your local Realtor for possible resales. Heritage Hunt Golf and Country Club by Lennar - Resales - Gainesville (45 minutes to Wash DC) - 800 acres - Single homes in Luxury resort - Price - $$$. Large community of 2000 homes at closeout (verify). Heritage Hunt Garden - Single Homes in Heritage Hunt Golf and Country Club started in $300's. Heritage Hunt Patio Gainesville by Lennar - Single homes started in the $400's Check with local Realtors for resales. Regency at Dominion Valley - Haymarket - By premier builder Toll Brothers. This area is not as far as Shenandoah, about halfway between DC and Shenandoah. Resale award-winning luxury single-family homes, patio town homes and luxury courtyard condominium homes. Designer golf course, 2 pools, winding nature trails, and grand Regency Club with dining, fitness and more. (Also see the new section above under New in Haymarket. Beacon Park Condos - By Comstock Homes at Woodbridge. Condominiums. Water views, clubhouse, pool, golf, walking trails. Check status. Resales only. Ph: 703-883-1700. Green spring by Erickson at Springfield - for over age 62 - apartment homes featuring refundable deposit and outstanding amenities. Gatherings at Shenandoah - Scenic Blue Ridge Mountain Retreat near Winchester - By Beazer Homes - Frederick County - Singles and villas. 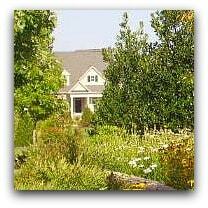 Willow Lawn Cottages - Winchester VA Resale - single homes in $200's. Cross Creek Village - Winchester - single homes start low $200's. Legacy at Suffield Meadows - Warrenton Fauquier County near Historic Old Town- by Ryan Homes - Price - $$-$$$ - smaller community with nature amenities - Clubhouse, pool, walking trails. Located on Suffield Lane, off U.S. 29. Also note: There is an assisted and independent community at Suffield Meadows called The Villa at Suffield Meadows. It has access to the amenities at the 55 community. Hidden Brooke In Springfield by Brookfield Homes. Resales only. The Cottages at Jefferson Heights - Wilberger Properties - convenient to Charlottesville - 3 bedroom/2 1/2 bath luxury townhomes. Resales. Check with local Realtors. Four Seasons at Charlottesville By K. Hovnanian at Ruckersville - Greene County - In the foothills of the Blue Ridge Mountains close to downtown Charlottesville - Phase one completed. If you wish to visit this community call a local Realtor for resales and status. I don't believe Khovnanian are owners currently. This is a lovely country environment with large clubhouse and miles of walking trails. Lansdowne Woods of Virginia - (previously named Leisure World of Virginia) - Lansdowne, VA - Upscale, fast-growing area. Developer is IDI Group. Condominiums. Clubhouse features swim center and spa, multiple classrooms, rooftop tennis deck, Gourmet Stop n Shop, concierge, beauty salon and more. Golf course or river views from the $200's to the $600's. Now sold out. No new phases planned for now. Central Parke at Lowes Island - Resort community of townhomes and condos. Amenities include clubhouse, pool, fitness center. 20799 Royal Palace Square, Sterling, Va. The Villages at Broadlands - Active adult community in the Broadlands master community - By Van Metre - for 50+ - luxury elevator condos with garages - 2 and 3 bedrooms with dens - up to 1700+ sq ft - started mid-$300's. 43138 Stillwater Terrace, Ashburn - See local Realtors. Four Seasons at Ashburn by K. Hovnanian - condominiums tucked away in great Northern Virginia location near Dulles Airport. Lots of shopping, restaurants and medical nearby. In Ashburn Village complex - Courtland Dr., Ashburn - See local Realtors. 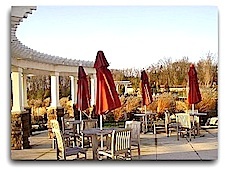 Four Seasons at Dulles Discovery - By K. Hovnanian. - Loudoun County - Townhome/Condominium minutes from Smithsonian Air and Space Museum and Dulles Airport. Luxury villas and townhomes. Neighborhood town center. See Realtors for resales. Legacy at Virginia Heritage at Lee's Park Fredericksburg - Price - $$ - From $240's - Gated, amenity-filled community by Ryan Homes. Virginia Heritage at Lee's Park Near Fredericksburg. Dolce Vita community by NV Homes. Turnberry East of Lee's Hill - by Hazel Homes in Fredericksburg - Was priced in low $200's. Country club style with golf, pools, clubhouse. Regency Park Villas Fredericksburg. by Cornerstone Homes - sold out. Check for resales. Retreat at Chancellorsville near Fredericksburg - Tricord Homes - single family. Falls Run by Del Webb - Sold Out - near Fredericksburg - maybe resale. The Hidenwood Retirement Community in Newport News, VA - Independent and assisted living options - choose the services you need in this popular community. Ashby Ponds - Ashburn - By Erickson - Enjoy independent living in apartment-style homes for 62+. Coming in 2014 continuing care on site. Entry and monthly fee. What is Considered Northern Virginia? The 55+ communities on this page are in the Northern Virginia area. It is a widespread area spreading out from DC. The terrain can be anywhere from city, suburban, to rural; it's very mixed. The cities closest to Washington, DC in Virginia are Arlington, Alexandria, and Falls Church. They are upscale and trendy and have an urban feeling. A little farther from DC and more suburban is the Ashburn area. 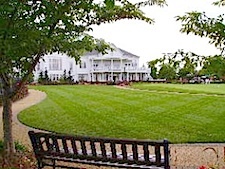 In relaxing rural areas are towns like Fredericksburg, Stafford and others. Many communities have close access to transportation hubs which makes it easy to get around. Retirees who want to live out of the DC area but close to family that live closer to DC, or the many cultural, entertainment and dining options of Washington, DC, can find retirement communities within an hour's drive. There are other areas of Virginia that are good for retirement as well. See the separate pages for Williamsburg, Richmond and Virginia Beach. Virginia is a large state with large areas of open space and a wide choice of communities with different retirement lifestyles. Regency at Ashburn by Toll Bros.